This amazing Australian gold nugget is shaped like a Seahorse. This is a very large natural gold nugget. The weight is 51.9 Grams (1.67 Troy Ounces). The size of this gorgeous gold nugget is 2.25" long x 1" wide x over 1/2" thick. 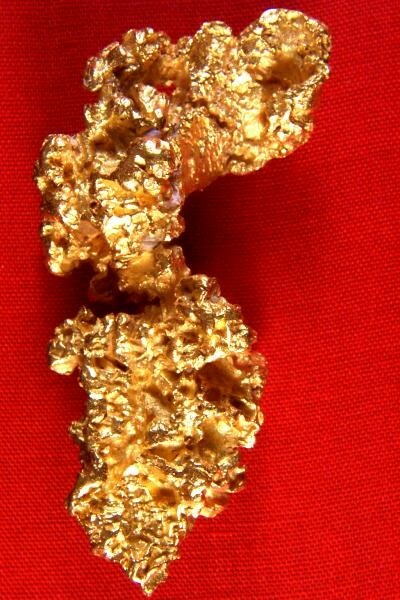 It is a hand selected jewelry/investment grade natural gold nugget, which is the highest grade in gold nuggets. 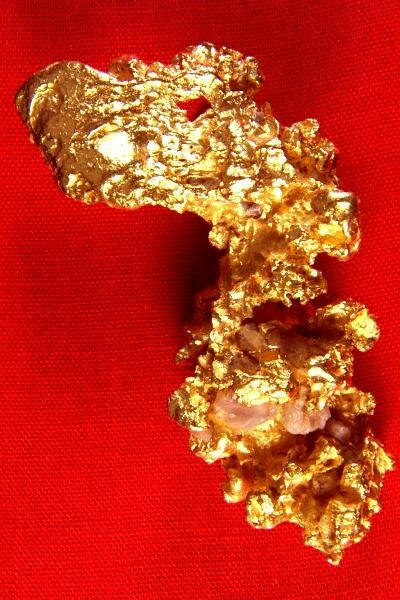 Australian gold nuggets are some of the purest natural gold nuggets you can find at 22KT - 23 KT (92% to 98% pure). This beautiful raw gold specimen comes with a certificate of authenticity.